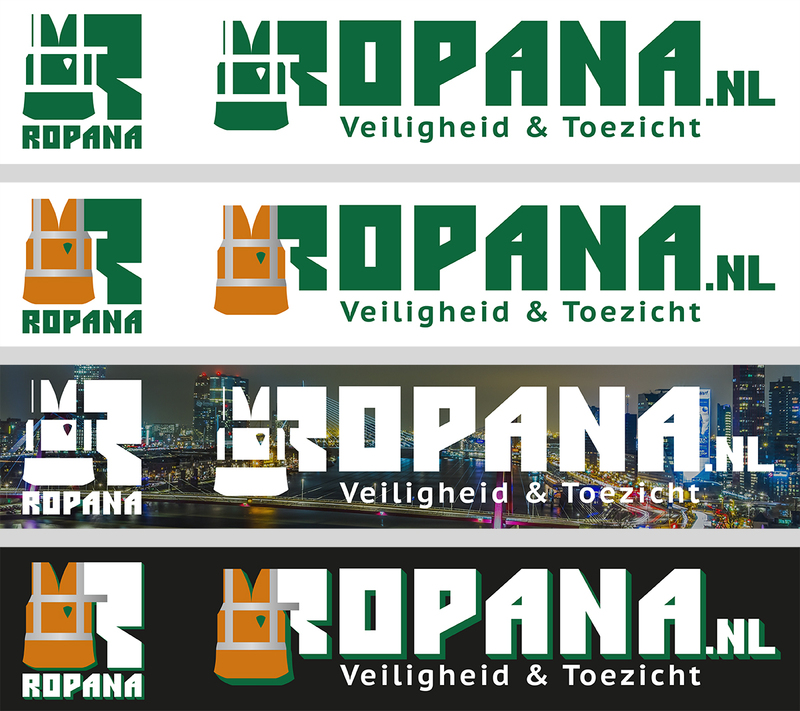 This post is about a restyle I've done for Ropana.nl. Ropana is a company based in the Rotterdam region who creates a safe environment to work in. Their slogan is 'Veiligheid & Toezicht', which translates to 'Safety & Supervision'. The company frequently works with the RET, the company who is responsible for the Rotterdam Subway net. With this in mind I started restyling the logo, as pictured below. My aim is to use an emblem for this logo; Because the old logo design didn't have one, and also to create a recognisable branding. If there is one thing the supervising people in this business are famous for, it would be their safety vest. In combination with a more fitting font and a little safety badge, the new logo is made. Old logo versus the new. A couple of different set ups to illustrate some possibilities.